Get organized and decorated all at once. This picture board will look great hanging in your room or office and now you have a great place to put all of your favorite photographs. 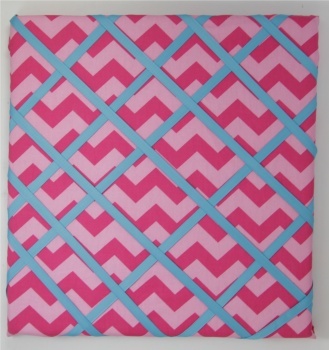 This board is covered with light and dark pink chevron stripe fabric. 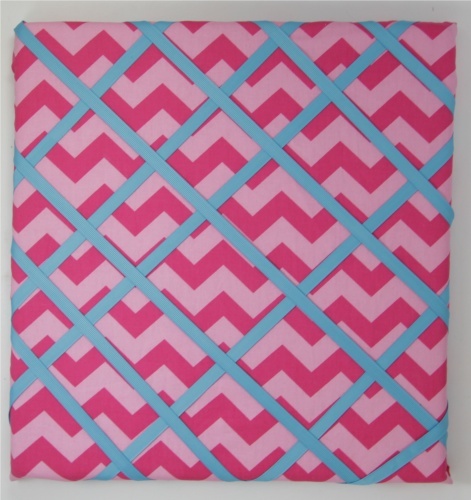 Turquoise ribbons criss cross the board which gives you the areas to insert your pictures behind. This is the perfect touch for your room. Just slide your wonderful memories under the ribbons and then display all of your good times on your wall.